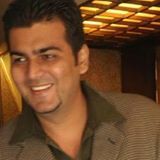 Contact us on analyseindia@gmail.com or call our Advisory Services Head Asif Poiserwala 09833666151 to subscribe. bought 280 call @ 2 ….. lets see …. I am highly enthusiastic to learn technical analysis. do you hold any such classes for that in surat, ahmedabad, baroda ? Pls. Reply. How Mirc Electronics and Geometric Software look on charts? What is view on Hinduja Venture? Is chart showing upside momentum? Hi nooresh, just i share my view with u as HUL & ITC move upside when FII mostly interested in down market. 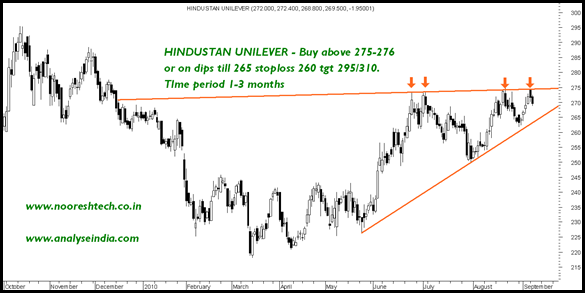 So this is HUL move technically but what you say may be some downside come in market? As i told you in last reply KARUTARI move +11% on thursday!!!! I INJOYYYYYYYY. Well i remain very bullish on HUL and its also a good defensive to hold. NOORESH, WHAT DO YOU THINK ABOUT NHP[ ? IS THIS RELIABLE PRICE FOR DELIVERY OF 2 YEARS FOR THE TARGET @ 100? If you are ready to hold for 2 years its an excellent bet.